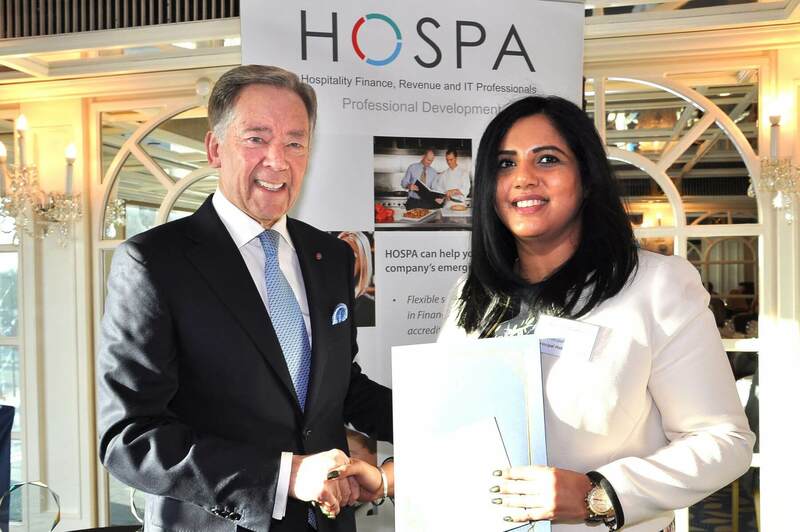 The Principal Hotel Company, which owns and operates over 30 landmark buildings across the length and breadth of the U.K. under the PRINCIPAL and De Vere brands, has been recognised by HOSPA with two prestigious industry awards for its commitment to revenue management education. Diane Little, assistant cluster rooms revenue manager for the group’s Scottish hotels, was recognised for achieving the highest scores for the Level 3 in Strategic Revenue Management course, whilst the group took home HOSPA’s prestigious Commitment to Revenue Management Education Award 2017. Amrita Makkar, Director of Revenue at The Principal London, collecting the award. Alan Corlett, Group Commercial Revenue Director, commented: “It’s great to be recognised for our commitment to promoting and development revenue management within the hospitality industry; I’d also like to congratulate Diane for her fantastic results." The award was presented to the group at HOSPA’s Annual Awards Ceremony on 25th January 2018.